McTech Corp celebrates Black History Month. Find us on Facebook to learn the contributions African Americans have made. The Little Italy-University Circle RTA Station Groundbreaking is featured in the November 13 issue of Properties Magazine. 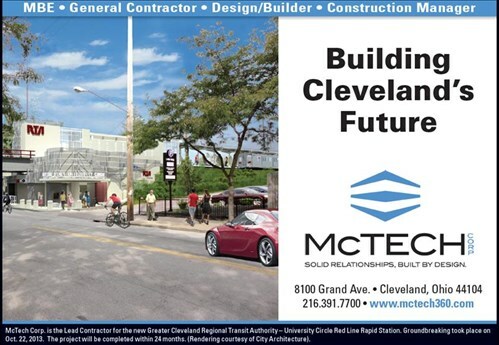 McTech Corp. is construction manager for the project on Mayfield Road at East 119th Street. Groundbreaking for the Greater Cleveland Regional Transit Authoritys new Little Italy - University Circle Red Line Rapid Station was held on Oct. 22, 2013. McTech Corp. is acting as lead contractor for the $11.11 million project on Mayfield Road at East 119th Street. City Architecture is serving as architect. McTech Corp. steps forward to sponsor a special reception during Black Enterprise Week held in Columbus. The Design Building Institue of America at the MId-American Region Awards Banquet on September 20, 2011 at the Ameristar Casino in St. Charles, MO, awarded McTech Corp. and their shareholders, Owner, U.S. Army Corps of Engineers and Designer, VOA Associates, Inc. trophies for the 2011 Design-Build Awards for their work on Ritzberg Hall, Ft. Riley, Kansas. This 17,500 2-story $5 million facility serves as MP administrative, command, and control facility. This project is Silver LEEDS rating eligible and also represents the first implementation of BIM modeling for coordination of structural, mechanical and electrical trades atFt. Riley. 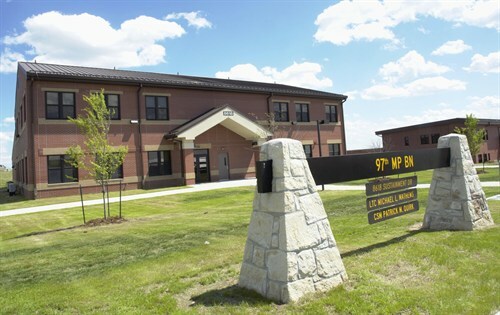 Building 7615 Battalion Headquarters Completed in Fort Riley Kansas. This project was awarded the LEED Gold Certification from the USGBC. In July, 2011, McTech achieved LEEDS Gold Certification for new construction status for its performance at the ATC Leadership Academy in Harpers Ferry, West Virginia. Completed in 2011 for the Dept. of Homeland Security, U.S. Customs and Border Protection, this approx. 60,000.s.f. 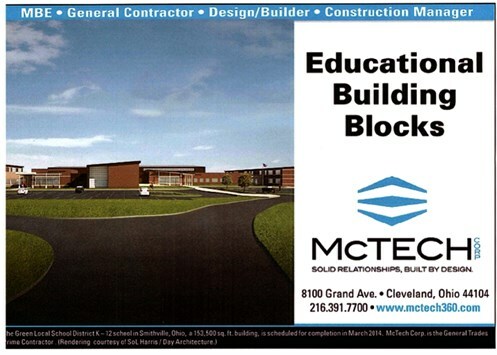 $35 million facility engaged McTech as both Construction Manager and General Contractor. Working with quality and cost control, McTech commends its West Virginia staff for exceptional performance on this project. In June, 2011 in accordance with the LEED Green Building Rating System, McTech achieved LEEDS Silver Certification status for new construction at the Brigade Transformation Project, Unmanned Aerial Vehicle (UAV) Maintenance Facility Building #88316 in Ft. Riley Kansas. For more information return to the project section of the website. This significant project, managed by McTechs Midwest Office, is a Design Build Other significant projects at Ft. Riley are presently Silver LEEDS eligible.